This article is an introduction to the significant questions for Jungians in relation to the racism in Jung’s writing and to the way post-Jungians have thought about this. It also outlines developments in Jungian theory that contribute to understanding the phenomenon of racism. in what way is Jung’s thinking racist? 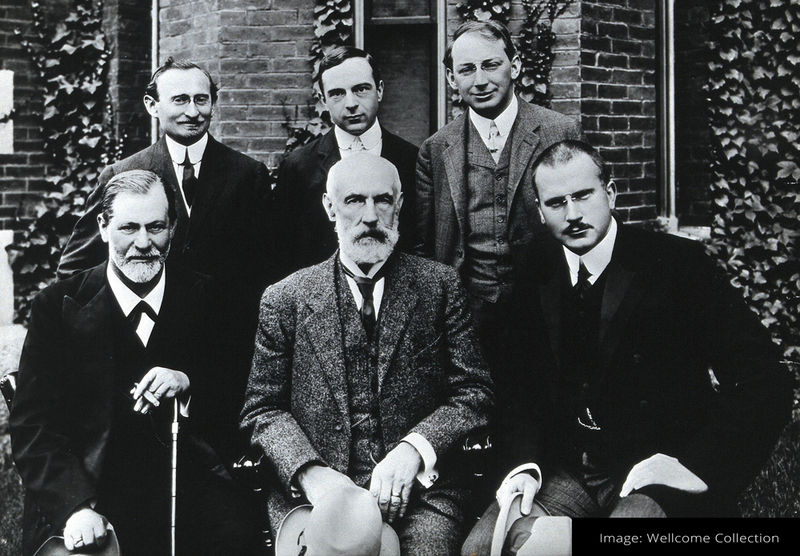 Like many European intellectuals of his time, including Freud, Jung was influenced by the work of many twentieth century anthropologists that made a distinction between so called ‘primitive’ and ‘civilised’ mentality. Although Jung’s overall approach was symbolic, his thinking becomes racist when he equates primitive states of mind (unconscious process) with so called ‘primitive’ people, seeing the psyches of black people as less developed and inferior to those of white people. This is a point made, with many illustrations from Jung’s writing, in a paper by the psychoanalytic group analyst, Farhad Dalal, called ‘The Racism of Jung’ (1988). The fact that Jung connects his comments on other cultures and ethnicities to the fundamental concepts of individuation and the collective unconscious gives rise to the question of whether it is enough for post-Jungians to position him in history as a man of his time, and to continue to use ideas such as the collective unconscious and individuation without a real questioning and examination of their possible racist roots. Depth psychologies – such as analytical psychology and psychoanalysis – take account of unconscious processes in individuals and groups that arise from personal and social experiences. So, while many people strive to act and think in non-racist ways, depth psychology theories recognise that this is not simply achieved through conscious effort. For example, psychoanalytic theories of racism include the idea of internal racism as a universal psychic structure (Davids, 2011) and of colour coded structures in society being reflected in the structure of the psyche (Dalal, 1998; 2002). Notable post-Jungian theories include a linguistic investigation showing white supremacist thinking permeating Western psychological theory (Hillman, 1986), the idea of a multicultural imagination and cultural difference in the collective unconscious (Adams, 1996) and the idea of cultural complexes as factors in the creation and functioning of large groups, including those based on racial and ethnic difference (Singer & Kimbles, 2004; Kimbles, 2014). While psychoanalytic and Jungian analytic approaches can help with understanding that racism is not something easily eradicated through willful effort, other disciplines, such as group analytic thinking, sociology and discourse theory contribute ways of thinking about the economic and political factors behind the urge to power and privilege some groups of people over others (Dalal, 1998; 2002). how have jungians been taking Jung’s racism seriously? The American Jungian, Adams (1996) acknowledges Dalal’s paper and adds to the weight of evidence for racism in Jung’s thinking. On the question of whether the theory has racist roots, his approach is to develop, rather than dismiss, the idea of the collective unconscious by putting forward the idea of a multicultural imagination which recognises that images of collective experiences arise as much from cultural factors (stereotypes) as they do from archetypal factors. The British Jungian, Samuels (1993) acknowledges the convincing documentary evidence Dalal presents for the racism in Jung’s thinking, but argues that it is the idea of ‘nation’ rather than ‘race’ that engaged Jung. This, he says, led Jung to assume the role of a psychologist of nations, ‘thereby legitimizing ideas of innate, psychological differences between nations’ (ibid. p. 313) and failing to take account of economic, social, political and historic factors that might be at work. Samuels emphasises that, alongside problematic racial typography there is also value in Jung’s interest in difference and culture and ‘the seeds of a surprisingly modern and constructive attitude to race and ethnicity’ (ibid., p.309). Gross (2000) suggests that the project is not to rehabilitate Jung but to use Jungian concepts (particularly the shadow) to understand racism. However, the concept of the shadow in analytical psychology is itself open to critique; at times Jung equates symbolic ideas of darkness and possession by powerful emotions with what he refers to as ‘primitive’ people, whom he sees as having a lower level of personality and lacking moral judgment. This is something that the American Jungian, Fanny Brewster (2017) discusses in her exploration of the relationship between analytical psychology and African Americans. While offering a powerful critique of the racist shadow in Jung’s thinking she also argues for the value of Jung’s ideas and the positive contribution that an Africanist perspective can make to Jungian psychology. Brewster (2013, 2017) also takes up the issue of the gap in Jung’s thinking in relation to archetypes and culture. In particular, she addresses the assumption that the collective unconscious is non-racial, critiquing Jung’s research method of using the dreams of 15 African Americans to establish the idea of universality. She argues that his research was flawed as he failed to take account of the personal or cultural associations of the dreamers or of his own European cultural bias. Morgan (2002; 2007; 2008; 2014) has written of the implications of racism within the analytic relationship, in supervision and in training institutions. She suggests that racist thoughts are likely to arise in the clinical relationship from time to time, but these are often blocked or ignored due to shame, anxiety and fear. 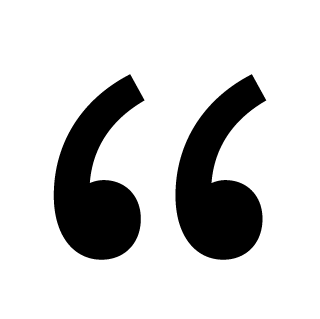 However, when such thoughts are allowed and elaborated they can illuminate the transference and the countertransference and bring a helpful perspective. If they occur in the mind of the white analyst and are denied, they may be projected into the patient or supervisee who has to then carry the split off part of the therapist. She argues that an important aspect of one’s development as an analyst requires a careful and honest attempt to surface and explore one’s own unconscious racist attitudes. The concept of Cultural Complexes, developed by American Jungian analysts, Singer and Kimbles (2004), has relevance to thinking about racism. The idea of cultural complexes is a synthesis of Jung’s concept of the personal complex and Joseph Henderson’s idea of the cultural unconscious. The way in which a Cultural Complexes can operate at an individual and societal level is well illustrated in the interpretation of dream material by Singer with Kaplinsky (2010) where rigid societal divisions under the Apartheid regime in South Africa are seen to be reflected in the psyche of a white individual. For Kimbles, cultural complexes are a dynamic system of relations that engender important feelings of identity and belonging, operating both through a group’s expectations of itself and through its fears, enemies and attitudes towards other groups (2014). He has developed this idea by describing intergenerational transmission of cultural complexes through: ‘persuasive unconscious stories or phantom narratives’. (p.12) many of which have a cultural trauma at their heart. Slavery would be an example of this. Kimbles writes as an African American and acknowledges that his development as an individual is intricately bound up with consciousness of the group to which he belongs and the attitude of other groups towards it, that is, whites towards blacks. He uses his own experience of racism to illustrate what he means by cultural complexes and phantom narratives, drawing on his dreams, experience of Jungian analytic training, and work as a group consultant and family therapist concerned with trans-generational processes. The most recent example of Jungians taking Jung’s racism seriously is to be found in an open letter to the British Journal of Psychotherapy (Baird et al 2018). In this 35 Jungian analysts and academics (including Brewster, Morgan, Samuels, Singer, Kimbles) formally respond to Dalal (1988) and call on all involved in analytical psychology to critique and revision theories that harm people of colour; to apologise for actual harm and discrimination; to find new ways to keep analytical psychology engaged with communities and colleagues of colour. Dalal’s challenge to the Jungian community concerned two main concepts which are central to Jungian theory, that of the archetypal structures of the Collective Unconscious and that of Individuation. Again and again I encounter the mistaken notion that an archetype is determined in regard to its content, in other words that it is an unconscious idea (if such an expression be permissible). It is necessary to point out once more that archetypes are not determined as regards their content, but only as regards their form, and then only to a very limited degree. A primordial image is determined as to its content only when it has become conscious and is therefore filled out with the material of conscious experience. The processes of the collective unconscious are concerned not only with the more or less personal relations of an individual to his family or to a wider social group, but with his relations to society and to the human community in general. The more general and impersonal the condition that releases the unconscious reaction, the more significant, bizarre, and overwhelming will be the compensatory manifestation. (Jung 1928/ 1966, para 278). This passage is taken from an essay where Jung refers to instances of mental illness as extreme examples of such overwhelming compensation. Later in the same essay he expands on the idea of a less developed consciousness, equating it to the psychic functioning of so called ‘primitives’. It is in this area of theorising individuation that Jung’s thinking becomes racist: the potential for ego consciousness to be overwhelmed by unconscious ‘primitive’ functioning becomes a literal fear of ‘going black’. This is well illustrated by Adams (1996) in his reinterpretation of Jung’s experience of an n’goma (dance) during a 1925 visit to the Elgonyi of Central Africa. At the height of the dance Jung fears it will get dangerously out of hand so shouts and flourishes a whip in order to bring it to an end. Adams argues that Jung suffered a panic attack, equivalent to what Jung describes in another context as a ‘bush fear’ associated with the collective unconscious. For Adams, what happened ‘epitomizes the fear of the white European that to go black is to go primitive, to go instinctive, which is to go insane, which is to lose his ego – and, Jung says, to forfeit his authority.’ (p.76). Dalal’s challenge is that ‘the theory of individuation is a theory of recapitulation’ (1988, p.16). The biological theory of recapitulation, now largely discredited in terms of psychology, is the idea that an individual representative of a more advanced species goes through developmental stages that represent the fully developed individual of the species at earlier stages in its evolutionary history. Dalal argues that while Jung is explicit about individuation as an evolution of consciousness within the lifetime of an individual, implicit in his theory is the idea that individuation is also historical, charting the development of the species’ emergence from what Jung saw as collectivity, where there is no developed sense of an individual with ego consciousness. The conclusion, according to Dalal, is that for Jung the white European is more evolved than the ‘black race’. Many fundamental concepts within Jungian theory have been re-examined in the light of developments in thinking in different disciplines which has meant a revitalising of the theory in a helpful way. This account has focused on just one aspect of developing theory by outlining the ways in which Jung’s thinking can be seen as racist and showing how Jungian’s have responded to this. This has included the specific challenge made by Dalal that Jung’s ideas of the collective unconscious and individuation should be subject to a critical examination of their potentially racist roots. We recognise that there is a considerable time gap between Dalal’s 1988 paper and his work on racism and difference today. His original criticisms have been acknowledged and considered by a number of Jungian writers over the years but recent developments in disciplines such as neuroscience and in emergence theories that have led to a revisiting of some of the fundamental concepts have made it more possible to include a consideration of the racism in Jung’s writing within the general questioning and development of Jungian theory. 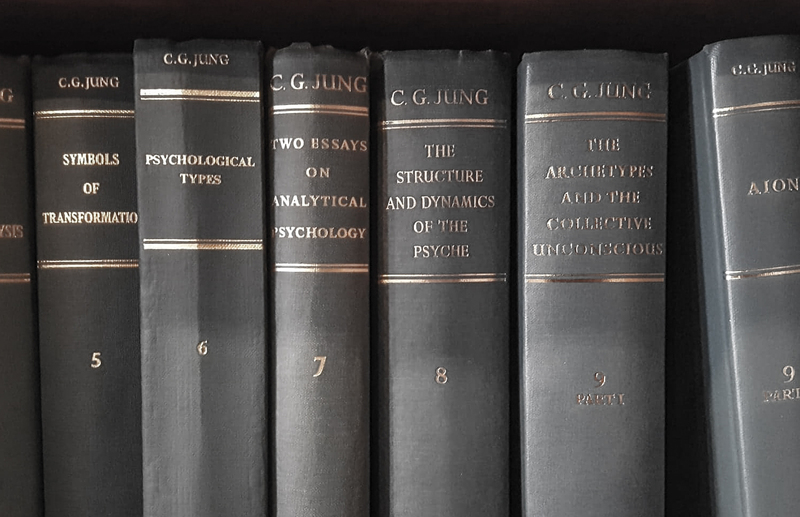 The BJAA welcomes these challenges and supports a critical and evaluative view of Jung’s ideas as part of the ongoing development of post-Jungian thought. Adams, M. V. (1996) The Multi-cultural Imagination: ‘Race’, Colour and the Unconscious. London: Routledge. Dalal, F. (1998) Taking the Group Seriously: Towards a Post-Foulkesian Group Analytic Theory, London: Jessica Kingsley Publishers. Dalal, F. (2002) Race, Colour and the Process of Racialization: New Perspectives from Group Analysis, Psychoanalysis and Sociology, Hove: Brunner Routledge. Davids, F. (2011) Internal Racism: a psychoanalytic approach to race and difference. Basingstoke: Palgrave Macmillan. Hogenson, G. (2004) Emergence and the psyche’s deep structure. In Analytical Psychology: Contemporary Perspectives in Jungian Analysis, Hove: Brunner Routledge. Kimbles, S. (2014) Phantom Narratives: The Unseen Contributions of Culture to Psyche, London: Rowman & Littlefield. Morgan, H. (2014) Between Fear and Blindness - the white therapist and the black patient. In Lowe, F. (Ed) Thinking Space. London: Karnac. Samuels, A. (1993) The Political Psyche, London: Routledge. Singer, T. and Kaplinsky, C. (2010) Cultural complexes in analysis. In Stein, M. (ed.) Jungian Psychoanalysis: working in the spirit of C.G. Jung, Chicago: Open Court. Singer, T. and Kimbles, S. (2004) The Cultural Complex: Contemporary Jungian Perspectives on Psyche and Society, Hove: Routledge. Jane Johnson is a psychotherapist and Jungian Analyst who works in private practice in Hampshire. She is a member of the British Jungian Analytic Association and a past director (2008-2017) of the MSc Psychodynamics of Human Development (Birkbeck College and bpf). She gives seminars on Cultural Diversity, Racism and Difference for the bpf and for the BJAA clinical training. Helen Morgan is a Fellow of the British Psychotherapy Foundation and is a training analyst and supervisor for the British Jungian Analytic Association. Her background is in therapeutic communities with adolescents and in adult mental health. She was chair of the British Association of Psychotherapists for four years from 2004 - 2008 and chair of the British Psychoanalytic Council from 2015-18. She has written and published a number of papers on the subject of racism in the analytic setting.